Board puzzles are surprisingly fun - even for those of us that tend to gravitate towards more cerebral entertainment. There's something cathartic about seeing an entire picture created from various individual parts. Whatever the case may be - or your perspective on the matter - you've got to admit one thing about the latest news around the XRP ecosystem; the puzzle pieces are coming together surprisingly well! Ripple's timing of their latest major release of Rippled (the validator software) was during - and directly after - Blockchain Week in New York City. Four of the eight major companies piloting xRapid have released their results confirming the cost savings. SBI Virtual Currencies is about to open its doors. Liquidity - and the general crypto market - is slowly finding its footing once again as prices start to nudge higher across the crypto spectrum. And of course let's not forget the big news: xCurrent looks like it is quickly gaining momentum across all corners of the globe in its effort to replace SWIFT's aging messaging system. "I believe the right word for this is traction. 2018 is going to be our year." On Monday, May 28th, hackers contacted two Canadian banks and demand that a ransom be paid to them. The hackers exploited an account recovery mechanism whereby they were able to reset the access to accounts after answering some cursory information that they were first able to obtain without any credentials. "Our practice is not to make payments to fraudsters; we are focused on protecting and helping our customers." The “Volcker Rule” basically prevents banks from making what are considered to be unsafe bets with depositors' money. According to some stakeholders in Washington – and in banking – the rule is too complex and is onerous especially for small-and-medium-size banks to comply with. The changes would simplify conformance with the law at the same time streamlining enforcement, thereby reducing the amount of overhead associated with the rule. Keep in mind that the rule was enacted after the banking crisis in 2008. I think we can all agree that this is a worthy goal. What is CEO attestation? It’s a requirement that banks' CEOs attest (provide a signed statement) that their bank is adhering to any restrictions on speculative betting. Now, on the surface, most crypto networks will not be jumping for joy at this. When banks' CEOs are required to personally attest that the bank is not taking undue risks, it definitely pours cold water on the notion of any speculative investment in digital assets by banks. However, it leaves an open door to the possibility of investment in crypto-assets for the purpose of cross-border value transfer – i.e. utility tokens that could be acquired by the bank. And it also provides a way for banking CEOs to color their speculative investment as well; in other words, perhaps XRP may be considered a speculative investment in its own right, but if banks are holding it and managing the risk as they would with other fiat currency, and it serves a purpose such as cross-border value transfer, then it provides both in reality: A speculative investment and a utility token for bridging fiat currency. This could be a significant win-win situation for banks, as their XRP assets could climb in value as well as be used for settlement of cross-border payments. So far, we’ve seen five years of production-ready XRP, but Ripple (the company) always considered the code to involve a series of minor releases. The timing of the latest major release is interesting; there are a couple other events and developments within the XRP ecosystem at the same time, including the transition to production for SBI Virtual Currencies (SBI VC). In addition, four of the eight known xRapid pilots have now completed with positive confirmation of XRP’s cost savings. He’s no stranger to the spotlight; and it’s something that we absolutely need in a skilled CEO – the ability to spar with interviewers about tough subjects. In addition, Brad Garlinghouse uses the spotlight to position the company and communicate key points and positions about topics, including regulation and banking trends. It’s my belief that this comparison is spot on. In the early days of crypto, some proponents were under the impression that, to effect change, they needed to completely circumvent all laws and create a technology that supported the destruction of the current financial system. This immature view – that the entire current establishment must be destroyed – is not new. It’s the clarion call of so many religions and political movements throughout history that this blog would easily run into pages if we listed them all. Instead, Brad Garlinghouse wisely predicts a maturation phase to the technology, its proponents, and also its development community. Yes, the Satoshi Nakamoto whitepaper was revolutionary; but technology is just that – a bit of ones and zeros that doesn’t care about your politics. It’s yet one more example of Ripple’s increasing presence at industry gatherings and events where blockchain technology leaders interface with interested parties, including entrepreneurs and businesses investigating the latest fintech innovations. Remember Santander’s OnePay app? In April, Santander formally announced that they were moving forward with production usage of OnePay, a mobile application that allows end-users to make payments in any currency across borders. 12 It’s a revolutionary app, and it supports real-time payments across borders using Ripple’s xCurrent solution. xCurrent gives banks the ability to message each other in real-time to confirm payment details before and after payment delivery. Currently, Santander indicated that the application is available to a subset of their customers in Spain, the U.K., Brazil and Poland; but they also indicated that they plan on rolling it out to larger groups of their customers once additional countries are supported. These numbers are striking; it’s clear from these implied large volume levels that the ILP connectors and processors are scaling horizontally just as predicted, and Santander is able to successfully scale using xCurrent. It’s a reminder of Ripple technology’s growing reach in banking – despite whether or not banks are comfortable at the moment using XRP for liquidity. Now let's shift gears and talk about something equally exciting: SBI Virtual Currencies. As expected, the beginning of June has brought some changes to the SBI Virtual Currencies site. 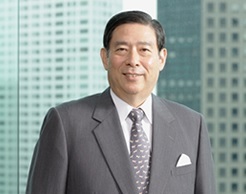 The public opening of of SBI VC – which uses XRP as a primary base currency – is an event that is anticipated by XRP fans. SBI Virtual Currencies is currently serving a very limited number of customers, but it is nearing its release date. The launch date for SBI VC was postponed due to concerns that security for the exchange be airtight, especially in light of the NEM theft that happened at Coincheck. However, the formal launch has not yet been communicated; we’ll have to wait for further news from SBI as we progress into June. 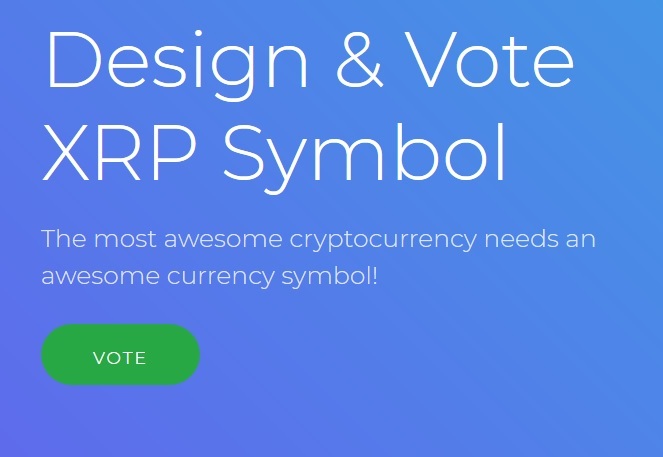 Voting on the new symbol that will represent XRP started on June 1st. It will proceed until midnight on June 7th (EST), at which point the top three choices will then make it to the final voting round. The final voting round has yet to be scheduled by @xrpsymbol. The voting process and overall community selection is being administered by @xrpsymbol (Twitter handle). You agree that you are submitting your original work, and that the work you submit is licensed under a Creative Commons 0 license. I've blogged about the submissions previously; many incredibly creative and artistic representations of XRP were put forward. Everybody's taste is personal, and I had four favorites that I really liked. Recently, I logged into the website and voted and was able to see which selections were the most popular. Every selection seemed to have a subset of fans, however, so it's up to those participating in the voting process to champion the ones they prefer and make a case for them. My advice? Set aside a few minutes to log in and make your preference known. Even though it’s currently a small exchange, moves like adding XRP support indicate that the owners of the exchange have their eye on increased volume. It will be fascinating to circle back in three months to compare the overall volume of the exchange. The current trend in cryptocurrency trading – and in many other financial sectors – is to place customer-facing functions on mobile applications. We’ve seen enormous growth specifically in crypto trading on these mobile applications, and it makes sense from a convenience standpoint; traders can focus on their regular nine-to-five jobs if they can also have easy access to making real-time decisions about investment directions. Sometimes traders need to make split-second decisions, and having access to a mobile trading platform supports that need. GMO calls its new application “GMO Coin Virtual Currency Wallet” and it is said to support both crypto choices and fiat – notably the Japanese Yen. What are the components necessary for the entire apparatus to quickly scale? What does xRapid need? If we look at all the facts and progress, along with the business deals and mechanisms that Ripple has carefully put into place, each one may seem meaningful in itself; however, it's wise to look at the situation from a holistic point of view. 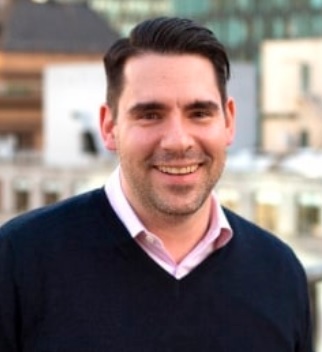 The question you should ask is "Does Ripple have everything it needs to make xRapid work at scale?" xRapid, to support truly global levels of commerce, will need to have high-volume exchanges where pairings of various crypto-to-fiat trading takes place. Or perhaps there is some technique where additional software can overlay individual exchanges and create liquidity pools? There has been much speculation about such an endeavor, but Ripple has been silent on that topic. Do banks have adequate custody solutions for safely handling (and storing) crypto? We know that Ripple has talked about this factor independently of the overall topic of xRapid adoption, but think about it in context; banks are usually not keen on building software themselves. They are also new to handling digital assets. These are real obstacles that must be overcome, and Ripple was the first organization to not only spot these obstacles, but actively plan for them. We are quickly approaching the point where the puzzle will reveal the entire picture; I am prepared - and anticipating - what will happen to XRP liquidity and volume when that happens. Are you?